The Broadcom MASTERS is the premier science and engineering competition for middle school students. In order to compete in Broadcom MASTERS (Math, Applied Science, Technology, and Engineering for Rising Stars), Society-affiliated science fairs around the country nominate the top 10 percent of 6th, 7th, and 8th grade participants to enter this prestigious competition. Nominees then complete an online application for a chance to compete at the national level. Entries are judged during the summer. Out of the entrants, the top 300 projects are announced in September. From these Top 300 MASTERS, 30 finalists and one parent/guardian win an ell-expense paid trip to the national finals in Washington, D.C. to showcase their projects, compete in teams, and visit sites that celebrate innovation through STEM. The finalists present their projects, collaborate in team hands-on STEM challenges to demonstrate their skills in critical thinking, collaboration, communication, and creativity, and compete for a top award of $25,000. The finalists' teachers also receive digital subscriptions to Science News to use in their classrooms, and the schools receive $1,000 to use on STEM activities. To be a young woman in STEM is to be important. It’s having the power to change the world. Broadcom MASTERS has broadened my scope and audience. Broadcom MASTERS International brings together a group of middle school students from around the world during the Intel ISEF competition. Broadcom MASTERS International is a separate competition, happening concurrently with Intel ISEF. It provides a unique opportunity for 25 middle school students from around the world to attend a specialized program where they experience science together. The delegates attend Intel ISEF, the high school international science and engineering fair, learn about STEM, and interact with each other during this global exchange. Broadcom MASTERS began in 2011 and Broadcom MASTERS International began in 2012. View alumni of both programs. 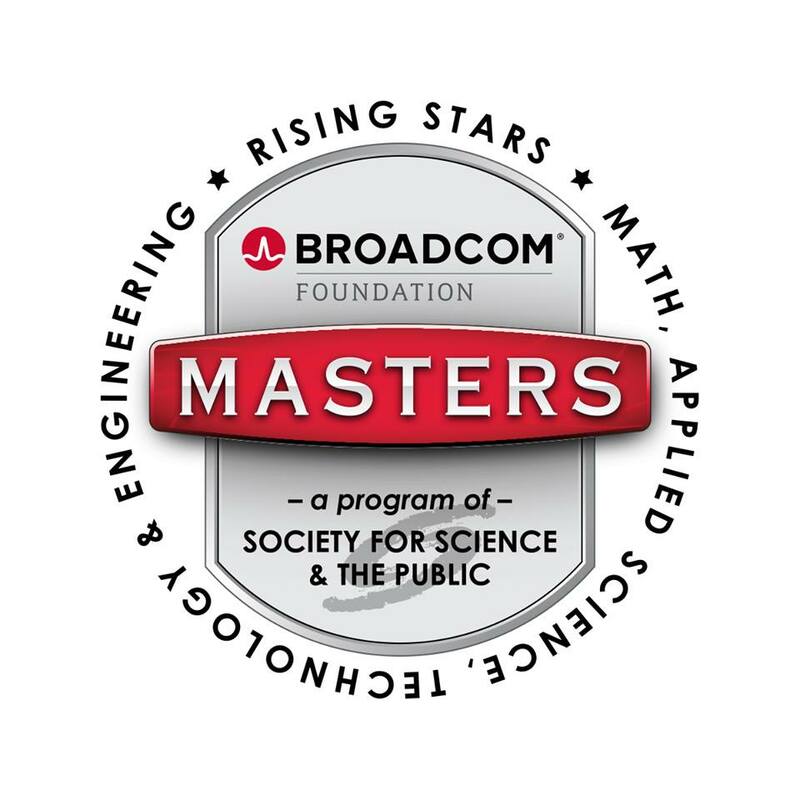 The Broadcom Foundation is the title sponsor and partner of Broadcom MASTERS. 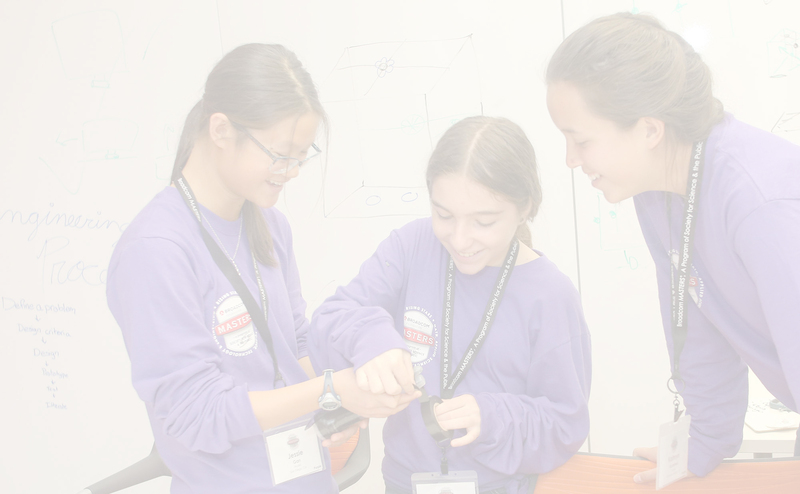 Broadcom MASTERS began in 2010 as a six-year commitment that demonstrates Broadcom Foundation’s support of advancing science, technology, math and engineering (STEM) education. Broadcom Foundation extended its sponsorship of Broadcom MASTERS for an additional six years. The Society's earlier middle school competitions were called the Discovery Young Scientist Challenge (DYSC) (1999-2007) or the Middle School Program (2008). Learn more about the competition week and how life-changing Broadcom MASTERS is for our alumni.